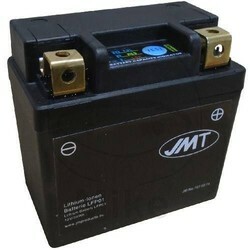 Battery Lithium JMT YTX9-BS. 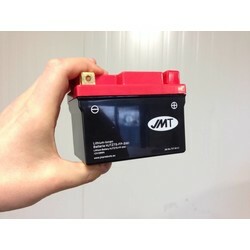 High-Tech for your motorcycle with this motorcycle Lithium battery. 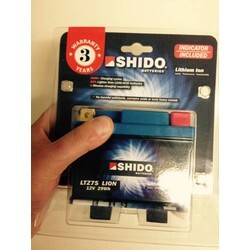 Superb for many Cafe Racer, since this lithium battery can be placed as they contain no acid in any position. In addition, you save some battery up to 5 pounds of weight. 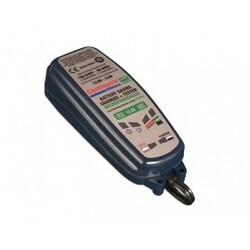 Very low self-discharge (up to 5% per month) and can thus easy to "survive" a winter. Note: Despite the great daily usage, have lithium batteries in temperatures from -10 degrees more effort (discharge is faster than a battery). If you use your bike in the winter, the use of motor Lithium batteries not recommended. 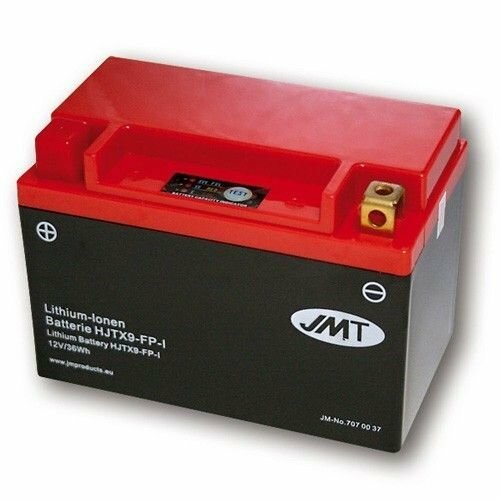 Motor Lithium batteries must be recharged suitable for a lithium battery charger / trickle charger (charging current should never exceed 15V and check that the charger more than 15V in desulfateringsmode).